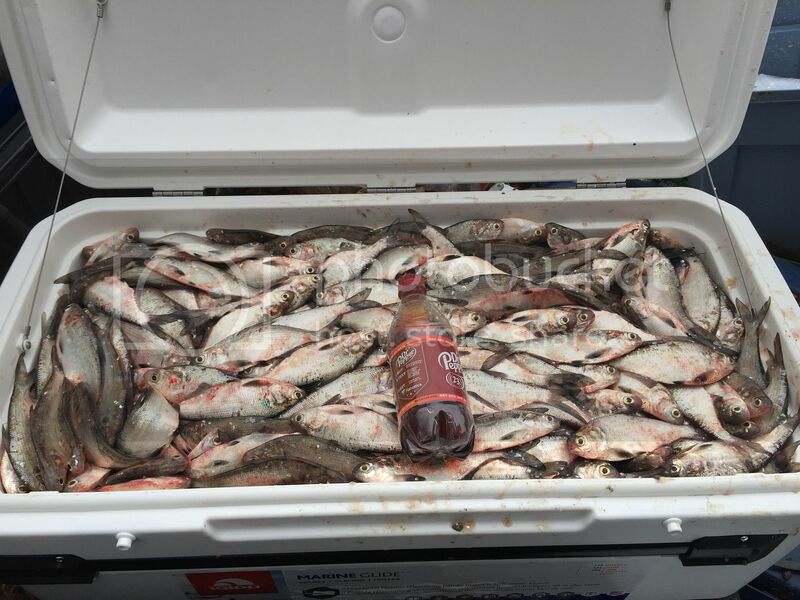 Gizzard Shad $7.00 per pound! Fresh this morning at 9 am -caught for this weekend on ice. I have my “Bait Dealers License & Bait Permit” licensed to sell LEGALLY. Pick up in down town area of PLANO. 15 th & Jupiter. Please text me how many pounds you want and for which day and I can make sure it’s available fresh for you. Nothing will be more than three days old. My product will not be more than three days old guaranteed. Bank Fishing and Boat Fishing Trips Available! I’m 12 mins West of Collin park off of Parker rd. Carey, on average, about how many of those in the pic are in a pound? Awesome!! Glad u got your license!! Re filling in the morning. There is about 6-8 per lb. I’ll open back up at 830 am tomorrow. Thanks Carey for the bait in the morning. Did some good fishing today might hit you up later for more. The one and only CISCO KID!! GET'EM CAUGHT AND REEL THEM IN! I'll be calling next time i go, fresh shad is the bomb.